From the early-1950s to the late-1980s, there was an Olympic-size ocean pool at Burleigh on Queensland’s Gold Coast. Proposals and discussions about creating a swimming pool on Burleigh’s foreshore to give locals and holidaymakers a safe swimming area. Gold Coast personality, Jack Evans (then the lessee of the Burleigh dressing pavilion) builds Burleigh’s first swimming pool on the foreshore next to an outdoor skating rink. The pool is 50m long. A cyclone destroys the outdoor skating rink on the Burleigh foreshore, but does not destroy the pool. 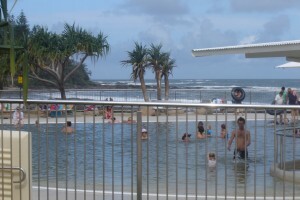 The Burleigh Rock Pool was replaced by a swimming centre within “The Beach House” complex. A 1970s aerial view of this pool and a brief outline of its history appears on page 26 of the Burleigh Heads Heritage & Character Study prepared for the Gold Coast City Council by Environmental Resources Management Australia and the Office of City Architect and Heritage, Gold Coast City Council. This beach was named for its most distinctive feature, the wreck of the SS Dicky driven ashore during a cyclone in 1893. The area around Dicky Beach was developed for housing. 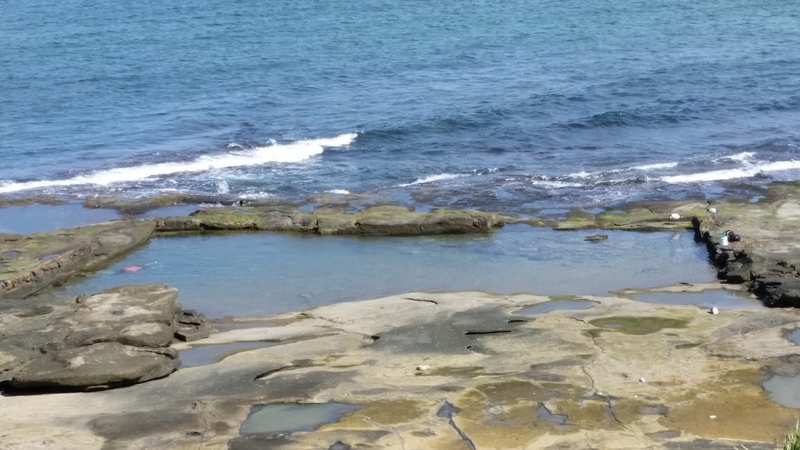 In April, the Landsborough Council overseer estimated the cost of the boring and shooting to create a pool on the rockshelf at Dicky Beach was only £54. Although the proposed pool site was only 150 feet from the lifesavers’ clubhouse, the overseer thought that window damage could be avoided by careful blasting. By November, the office of the Marine Board of Queensland insisted that construction details in duplicate were required before the Marine Board could consider the swimming pool proposed for Dicky Beach. In December, the North Caloundra Life Saving Club asked the Landsborough Shire Council ‘to blast the rocks on that beach, which would be cleared by voluntary effort by local residents with the object of making a safe bathing pool’. 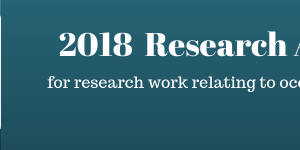 By 24 December, Dr J. H. B. Henderson’s complaint about ‘damage to his residence at Dickey [sic] Beach Caloundra, through blasting operations on the rock pool’ was referred to the Landsborough Shire Council engineer. 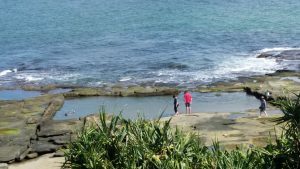 By September, Queensland’s Marine Board was asking whether the Council ‘will accept responsibility for control and maintenance of the pool that the North Caloundra Life Saving Club propose making in the rocks at Dickey [sic] Beach, Caloundra’. Landsborough Council agreed that it would accept this responsibility. In February, Landsborough Shire Councillor G. A. H. Watson informed the Caloundra Chamber of Commerce that ‘the swimming pool under construction at Dickey [sic] Beach … was being excavated by the North Caloundra life savers and local residents, who had asked the Council to have the rock blasted and remove any surplus rock of use for road purposes’. 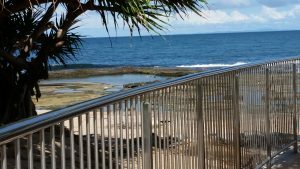 In August, the fourth annual report of the North Caloundra Life Saving Club reportedly stated that ‘Real work has begun on the proposed rock pool under the direction of the Landsborough Shire Council, and surface rock has been blasted over approximately the whole of the area surveyed (165ft. x 45ft.)’. 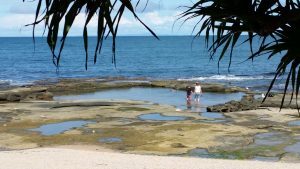 In September, the North Caloundra Life Saving Club’s suggestion that Council resume work on the Dicky Beach rock pool was referred to the Council Overseer. By October 1954, the Council overseer was reporting on ‘clearing swimming pool at Dickie [sic] Beach’. We have no information about this pool after 1954. 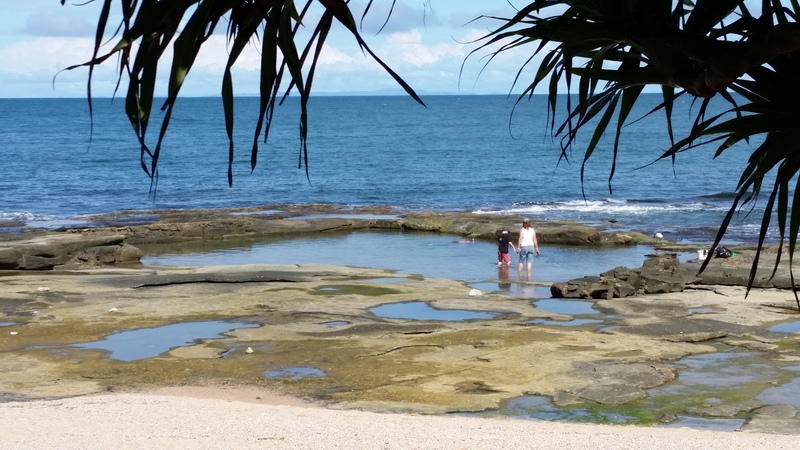 This older rock pool near the more modern ocean pool at Caloundra’s Kings Beach is still attractive. (Thanks to Gary Osmond for giving us permission to display his 2017 photographs of this pool, including a view from the more modern ocean pool). 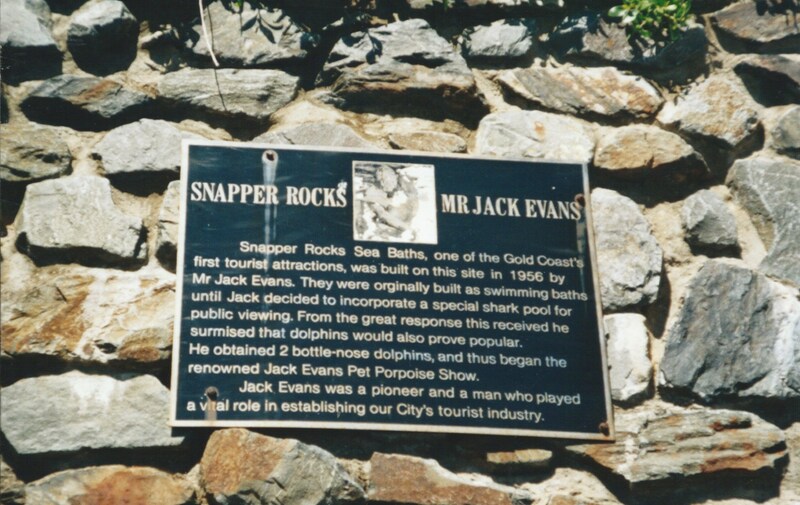 “Snapper Rocks Sea Baths, one of the Gold Coast’s first tourist attractions, was built on this site in 1956 by Mr Jack Evans. They were originally built as swimming baths until Jack decided to incorporate a special shark pool for public viewing. From the great response this received he surmised that dolphins would also prove popular. He obtained 2 bottle-nose dolphins and thus began the renowned Jack Evans Pet Porpoise Show. 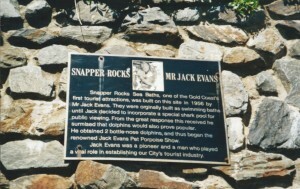 The Jack Evans Pet Porpoise Pool eventually moved a little further south from Snapper Rocks in Queensland to Tweed Heads in New South Wales. It is rare and refreshing to find a memorial plaque commemorating an ocean pool that became a ghost. • the Tweed River High School holding swimming carnivals at these pools. Duke, J., & Cameron, T. Jack Evans’ Pet Porpoise Pool Tweed Heads. Queensland: The Wilke Group. (Story and captions by Jan Duke assisted by Toni Cameron with photographs by Ray Duke). 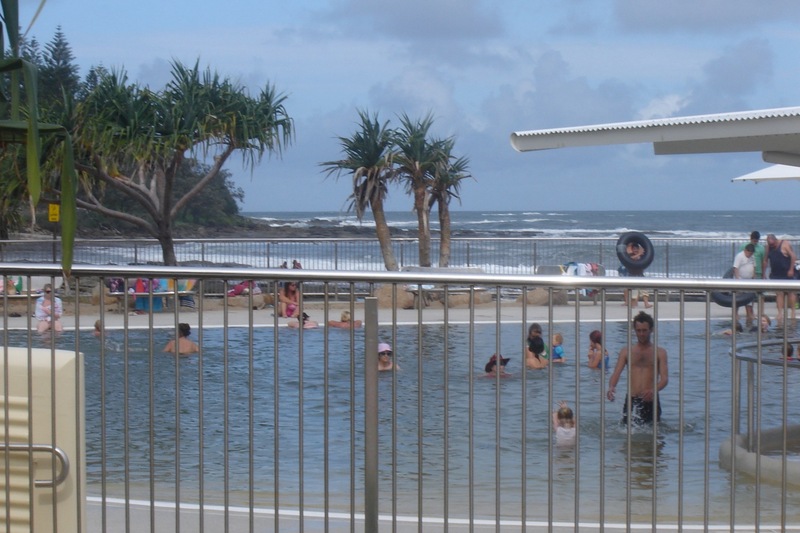 The Sir Francis Nicklin Testimonial Pool at Caloundra’s Kings Beach commemorates one of Queensland’s Premiers.